OXFORD, Miss. 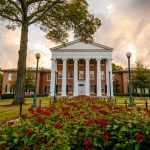 – The University of Mississippi's permanent endowment grew in its latest fiscal year to an all-time high of $715 million, thanks in part to the seventh consecutive year of new gifts of $100 million or more. Private support totaled more than $115.8 million from 30,332 donors, giving the university essential resources to continue providing exceptional experiences for students, faculty, researchers, health care patients and providers, citizens served by outreach efforts, and visitors to all its campuses. “Private investments are essential to fuel the work of our flagship university,” Chancellor Jeffrey Vitter said. OXFORD, Miss. – “Grandma's Tiny House,” a children's book about a colossal family gathering set in a tiny old house, is the 2018 winner of the University of Mississippi's 2018 CELI Read Aloud Book Award. Given annually by the UM Center for Excellence in Literacy Instruction, the award honors books written for children ages 3 to 10. 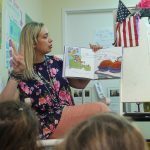 Established in 2010, this is the eighth time the award has been given by CELI, a center that provides support for Mississippi reading teachers. OXFORD, Miss. 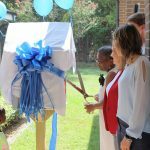 – The Lafayette County and Oxford Public Library has teamed up with the University of Mississippi Center for Excellence in Literacy Instruction and the LOU Reads Coalition to install six new Little Free Libraries in Lafayette County. The small book exchanges, which operate on a “take a book, return a book” basis, are at Lafayette County fire stations in Harmontown and Paris and on Highway 30 East, as well as at Mary Cathey Head Start Center, Gordon Community and Cultural Center in Abbeville and in the Community Green neighborhood.